It can be stressful cooking in the kitchen of an Italian mama. 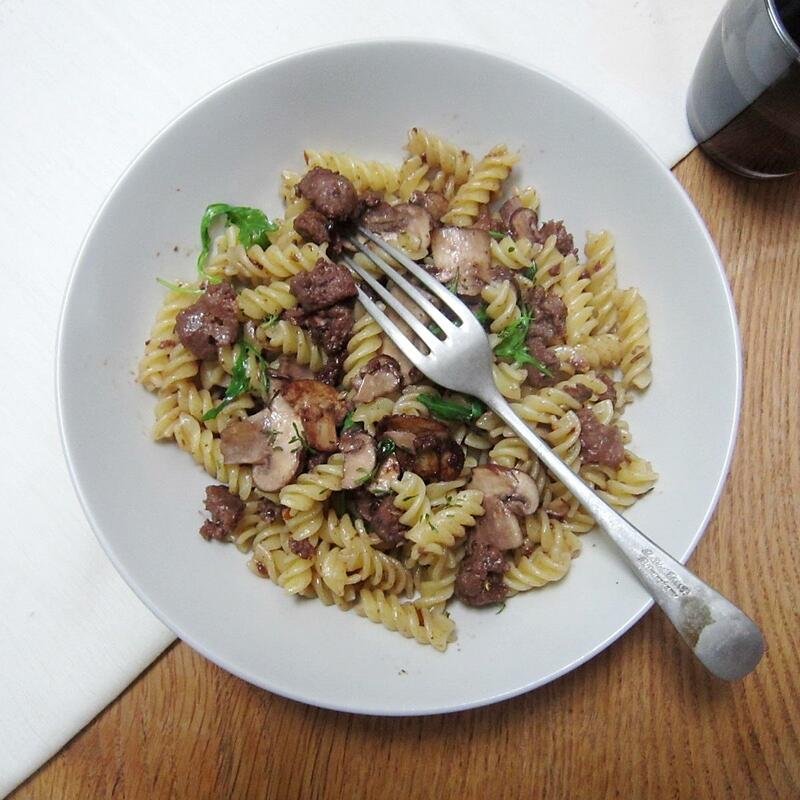 An Italian dish typically has a few ingredients and there was much speculation about whether the venison, mushrooms, rosemary and garlic would be too rich – but they’d never tried venison before. As much as I like pork sausages with fennel and chilli, for me the perfect partner for venison are mushrooms, especially the wonderfully pungent dried porcini that are a staple in every household here. I can tell you I was relieved when there were clean plates all round and I was asked to make it again! INSTRUCTIONS: Bring a large pot of water to the boil. Heat the olive oil in the pan over a moderate heat and add the venison sausage meat and garlic. Break up the sausage with the back of a wooden spoon and add a splash of white wine to the venison when it has begun to brown. Now you can add the pasta to the salty boiling water. As the wine evaporates, add the rehydrated porcini, rosemary and a ladleful or two of the mushroom soaking water. Cook the sauce for a five more minutes, adding more of the soaking water if needed. You don’t want the sauce to be too dry, but need to it be reduced enough to coat the pasta – I’m afraid it’s a matter of judgement as depends on the pan used and heat applied. Taste and season. The pasta should be al dente by now, so drain and toss with the venison and couple of leaves of rocket. Add a grating of Grana and a drizzle of olive oil, heap onto plates and enjoy with a glass of vino rosso! *Fresh mushrooms can be used in this dish, chestnut or cremini mushroom are especially good.